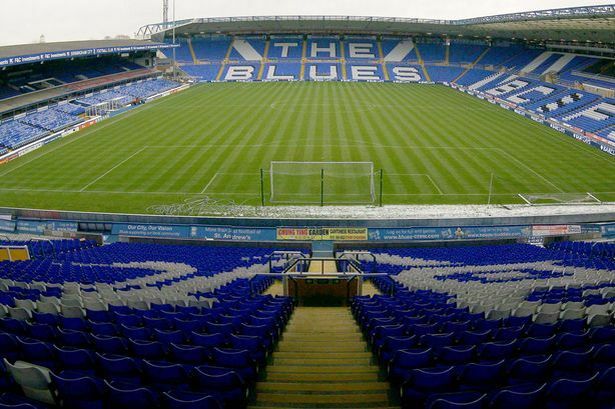 Birmingham City&apos;s new owner has agreed a £26 million finance package to enable the club to explore new ways of generating revenue including online games and entertainment and targeting markets in China. In an announcement to the Hong Kong Stock Exchange, Trillion Trophy Asia said it would provide a loan of up to HK$250 million to Birmingham International Holdings Ltd (BIHL) "to identify suitable business opportunities". Although the statement does not explicitly state the money will be used to fund the purchase of players, it does say Trillion Trophy is providing the loan to ensure there are sufficient funds for BIHL&apos;s "professional football operation and potential new investments". Having deposed popular former manager Gary Rowett last week, much to the displeasure of many fans, it it highly likely some of this loan will be used by new manager Gianfranco Zola to bolster the squad. The stock exchange statement said: "While Trillion Trophy intends to continue with the existing business of the group, it will assist it to identify suitable business opportunities to broaden its income streams. "Trillion Trophy has further undertaken (to) provide the necessary financial support to BIHL in order to ensure it has sufficient working capital for its operation in the next 18 months after the resumption of trading on the stock exchange. "BIHL will further develop its principal football business and strive to enhance the operation and value of the existing operation. "Moreover, leveraging the experience of the directors, BIHL is identifying business opportunities including sports, sports education, culture as well as online games and entertainment. "In line with the expansion plan, the company plans to expand its office space and recruit new staff in Hong Kong. "Riding on the economic growth of China, the company also plans to set up new entities in China to explore potential business opportunities." Trillion Trophy, led by wealthy Hong Kong businessman Paul Suen, officially took over Birmingham City FC in October, bringing to an end a controversial tenure at the club for its previous owners. At the time the deal went through, Mr Suen promised to plough more than £12 million into the Blues playing squad, starting with the January transfer window. In a letter to Birmingham City shareholders, Trillion Trophy Asia said it wanted to acquire eight to ten players as they sought to take Blues back to the Premier League for the first time since 2011. The loan facility must be repaid by December 31, 2018, or sooner if Trillion Trophy chooses to terminate the agreement.